25 Feb: I had walked the length of the galerie, passing by this small coffee shop, and returned, re-passing it on my way out. 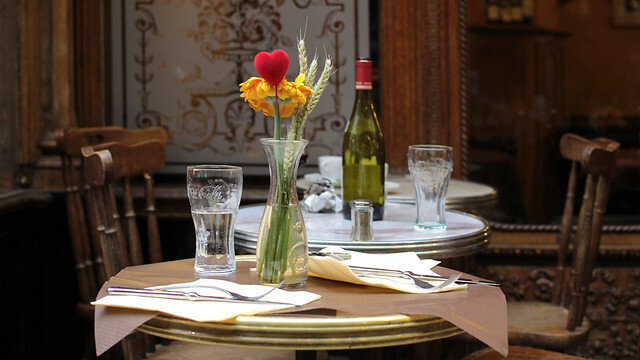 The table had been semi-cleared all this time I was skulking about the galerie. Plates and wine glasses were gone, but other cups and cutleries remained. Evidently the staff thinks it’s alright to take his/her time to clean up and set the tables. 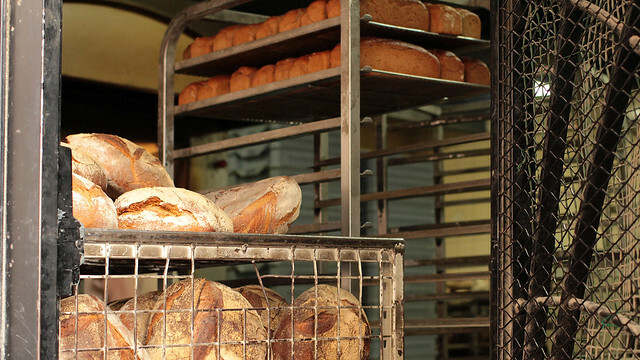 Afterall, there were hardly any customers waiting eagerly for a table. 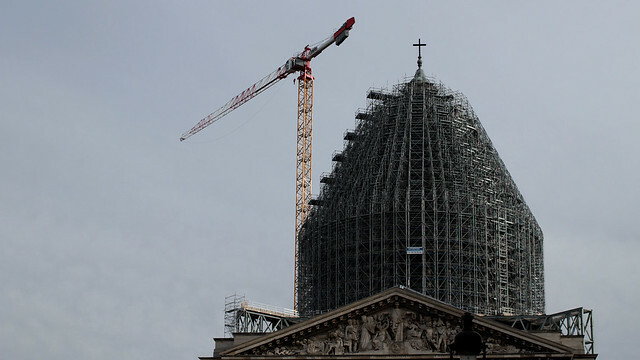 26 Feb: Some renovation works had begun at the Panthéon, and this is slated to take about a year to complete. 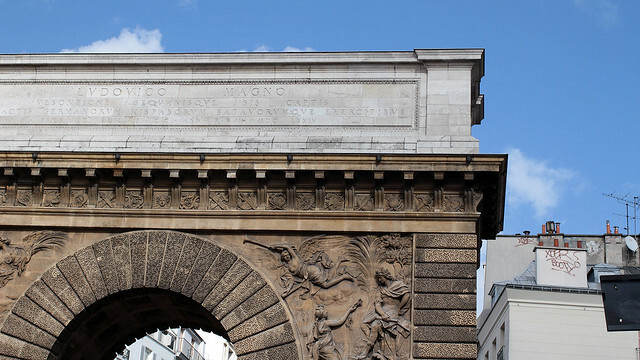 But fret not, the CMN will not leave it looking like this, but aims to prettify it with a layer of scaffold, followed by portraits in large prints by the street artists, JR. It’ll be curious to see what it’ll be like when the faces are staring back at everyone from quite a height. 27 Feb: Now, this could be categorised as unfinished work, right? 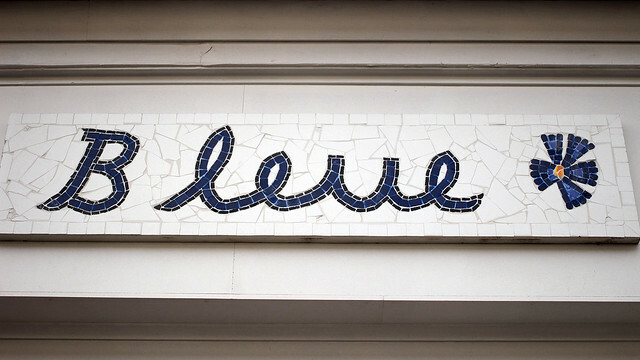 Whoever made this mosaic sign for a small house in the 15ème had neglected to use liaison in all the letters in the word, leaving aside B from the rest of its companions. How blue will that B be? I do think this is adorable though, and I certainly wouldn’t mind having a place with a pretty name. Beats the boring ol’ numbers. 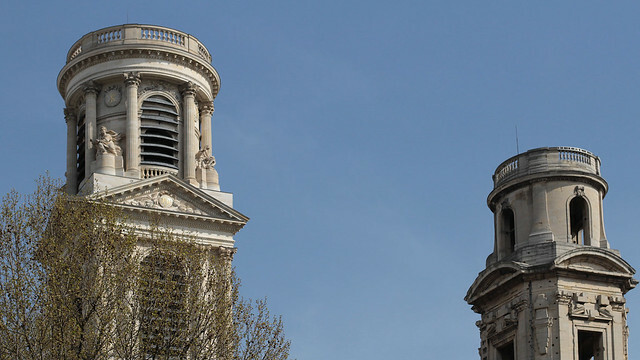 1 Mar: One could argue that these two towers of St Sulpice are different because they were built at different times to different styles, but one could equally argue then that the towers are incomplete pair because funding ran out and building works had to be delayed until more money was made available to finish up the second tower. Either way, I think it gives a certain character to this otherwise largely-skipped cathedral in Paris. 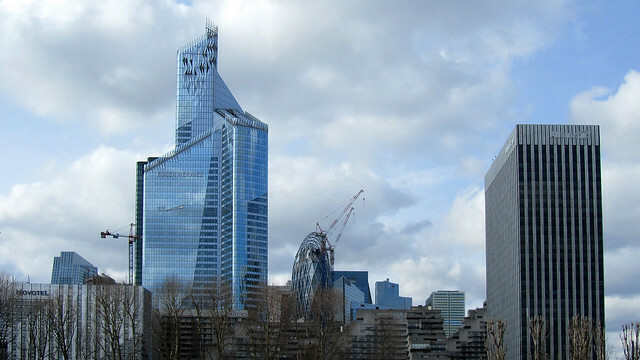 2 Mar: There always seems to be cranes in La Défense area all the time. How many construction works are ongoing at any one time? I was more amused by the weirdly-shaped cylindrical building in the middle, which to my eyes, read like an imitation of the Gherkin in London. Maybe less cyclindrical in general, but the implied form is there. Fancy glass and all, I guess it’s just another building block in the business district of La Défense to many.